Yet again we have returned to Sweden, compliments of our Swedish Whisky Lady’s summer trip to the land of her birth. She considered other options then settled on their entry level whisky. Overall it reminded us of a summery county fair. Though most of us would have preferred a bit more “oomph!”, perhaps a bit higher than 40%. Disappointing to learn they use caramel for colouring but it was quite accommodating and easy to drink. Truth me told – it was the “hit” of the evening and we had to set it aside to keep it from being emptied completely! Nose: Vanilla, boiled sweets and soft orchard fruit. Pear drops and spicy caramel. Palate: Candies peels, vanilla fudge, hint of basil, stewed fruit. It was purchased in Sweden in August 2017 and opened in Mumbai May 2018. 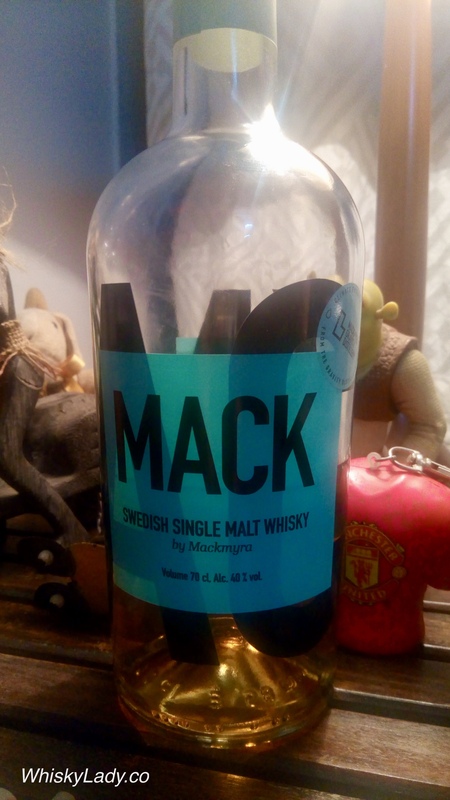 This entry was posted in Beyond Scotland, European, Sweden and tagged Mackmyra, Mackmyra Mack by Carissa Hickling. Bookmark the permalink.